Using, as their guide, the previously misunderstood interactions between Robert Boyle, widely known as "the father of chemistry," and George Starkey, an alchemist and the most prominent American scientific writer before Benjamin Franklin as their guide, Newman and Principe reveal the hitherto hidden laboratory operations of a famous alchemist and argue that many of the principles and practices characteristic of modern chemistry derive from alchemy. By analyzing Starkey’s extraordinary laboratory notebooks, the authors show how this American "chymist" translated the wildly figurative writings of traditional alchemy into quantitative, carefully reasoned laboratory practice—and then encoded his own work in allegorical, secretive treatises under the name of Eirenaeus Philalethes. 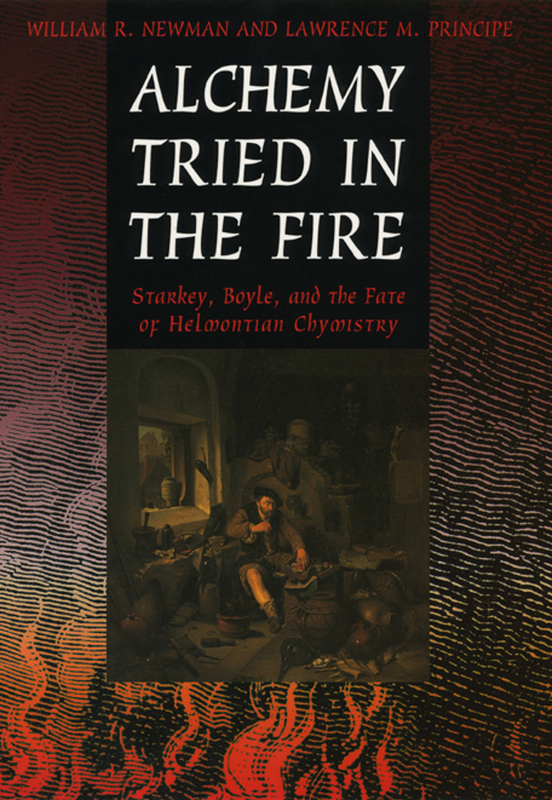 The intriguing "mystic" Joan Baptista Van Helmont—a favorite of Starkey, Boyle, and even of Lavoisier—emerges from this study as a surprisingly central figure in seventeenth-century "chymistry." A common emphasis on quantification, material production, and analysis/synthesis, the authors argue, illustrates a continuity of goals and practices from late medieval alchemy down to and beyond the Chemical Revolution. For anyone who wants to understand how alchemy was actually practiced during the Scientific Revolution and what it contributed to the development of modern chemistry, Alchemy Tried in the Fire will be a veritable philosopher’s stone.